This statistic shows the expenditure of different countries on primary school education per student in Purchasing Power Parity (PPP) U.S. dollars. 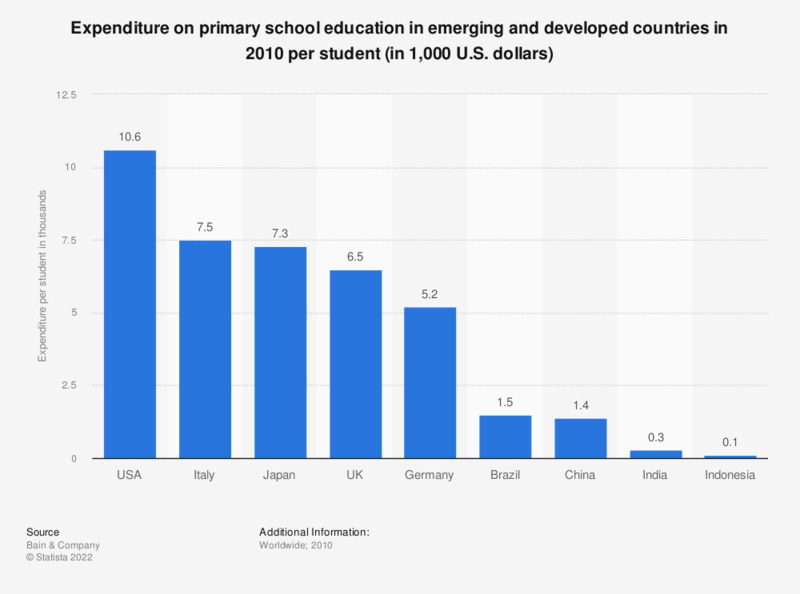 In the USA, about 10.600 U.S. dollars is spent each year per primary school student. Data are adjusted for Purchasing power parity.